Cyber crime is tipped to cost businesses around the world $6 trillion annually by 2021. This includes costs associated with safeguarding against it, but also the economic costs to businesses that have been affected. When a cyber attack happens it can be devastating for a business. Not only can they lose money if they are ripped off, when systems are crippled they are unable to do business and generate more income. 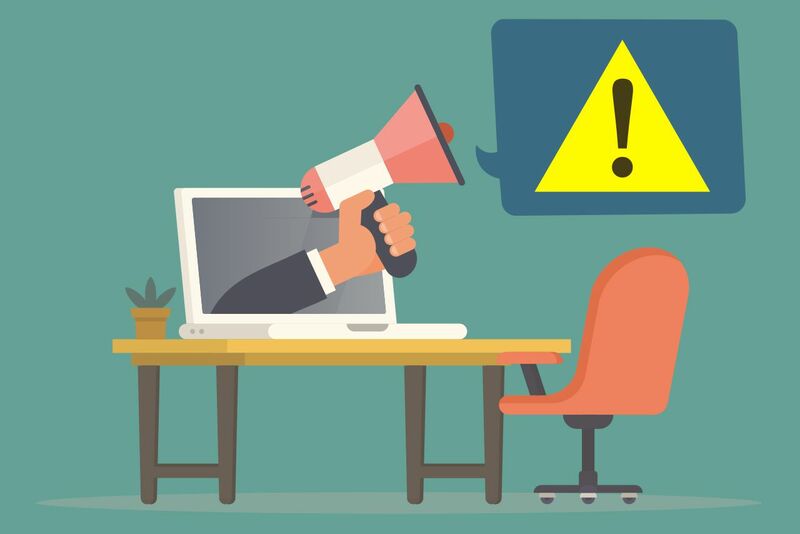 According to CIO UK, more than half of organizations experienced a security breach in 2018 and 82 per cent said they expected they would have to increase their security budgets to deal with risking cyber attacks. Every single employee in your organization, from the CEO down, has a key role to play in keeping your company safe from cyber crime. All the IT budget in the world won’t safeguard you completely against human error and it is this reason that employees are the weakest link when it comes to keeping your systems and data safe. Cyber security shouldn’t just reside with the IT department – it also needs to be a firm priority with other teams such as human resources and legal departments who have a significant role to play in safeguarding data and educating people. You can’t just expect people to instinctively know what to do and what not to do. Before you do anything else, you need to have a set of clear policies and procedures that spell out expectations and obligations when it comes to cyber security within your company. These should be easy for any employee to access and written in language that is easy to understand. Cyber security awareness training needs to be mandatory for every employee. It should form part of any onboarding/induction training that you give when new recruits join your organization. More detailed cyber security training should also be given, as well as regular refresher training. The latter is important because the nature of threats and technology can change quickly within an employee’s time at the company. Reinforcement of the takeaway messages from your training is key. Consider putting up awareness posters in your staff kitchen or other common areas. 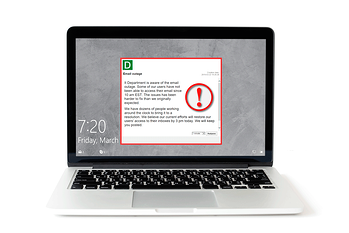 You can send notifications via DeskAlerts straight to employees’ computer screens – an innovative software system that sends pop-up notifications that can’t be ignored. Reminders can be delivered via screensavers or corporate wallpapers (both of these can be delivered easily using DeskAlerts). Reminders on your corporate social media and intranet pages are also a good idea. Send quizzes to your employees from time to time to determine what their level of knowledge is around cyber security. This will help to keep security front of mind while at the same time help you to identify if there are any weaknesses and gaps in employees’ knowledge. DeskAlerts has a quiz module that makes sending these super easy and will deliver results to you in real time.